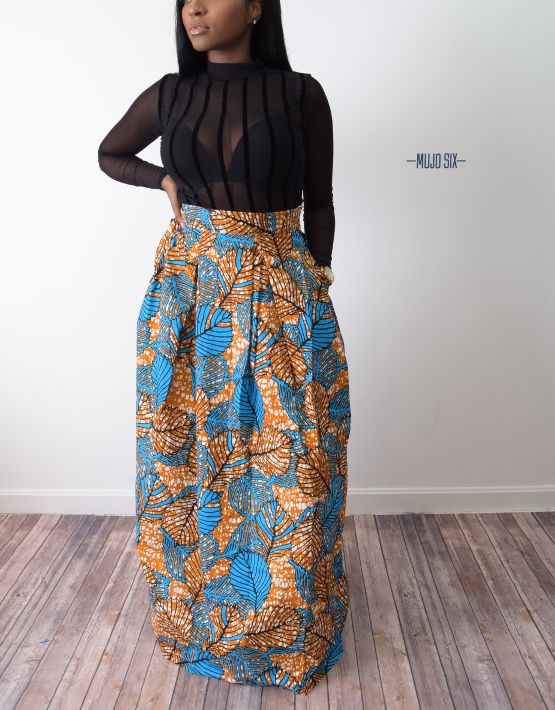 Strut your stuff in this beautiful pleated maxi skirt. This skirt is sure to stop heads when in range. The skirt includes hidden side pockets that allows you to leave your clutch at home and enjoy the town. Sits at the natural waist line for a comfortable fit. Approx 2″ waistband. Its flattering for all body types, with the way it flows in an “A” shape away from the frame. 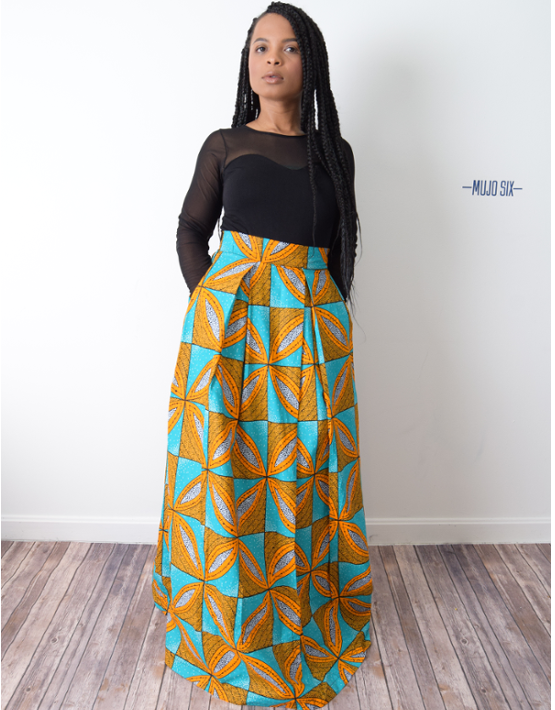 Hand made 100% Ankara cotton imported from Nigeria.